It’s been a long time coming, but the new Mystery Science Theater 3000 finally has a premiere date. Nerdist reports the Netflix reboot will debut in April. The revival, which was funded by a very successful Kickstarter campaign, will have 14 episodes with both new and original castmembers. In addition to new stars Patton Oswalt, Jonah Ray, Felicia Day, Hampton Yount, and Baron Vaughn, original castmembers Mary Jo Pehl (Pearl Forrester), Bill Corbett (Crow T. Robot), and Kevin Murphy will return. Creator and original host Joel Hodgson serves as an executive producer. The new Mystery Science Theater 3000 premieres on Netflix on April 14th. What do you think? Are you a fan of MST3K? Will you watch the revival? 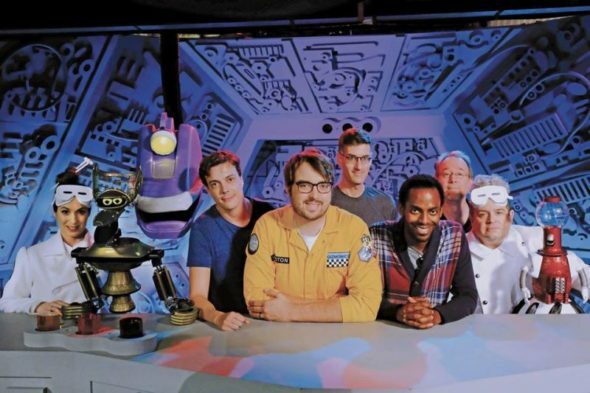 More about: Mystery Science Theater 3000, Mystery Science Theater 3000: canceled or renewed?, Netflix TV shows: canceled or renewed?